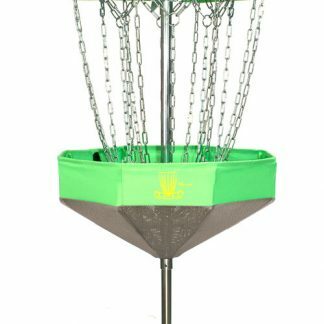 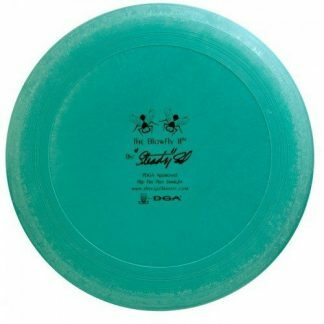 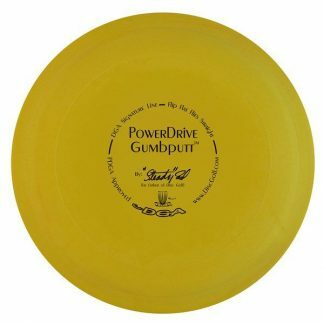 The DGA Mini Disc Pole Hole is the perfect mini disc basket and the best option for mini disc games. 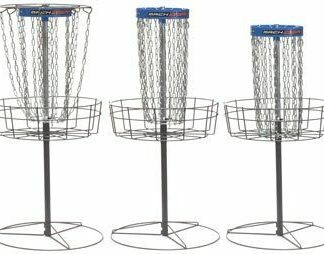 It is also the perfect mini trophy basket for all tournaments. 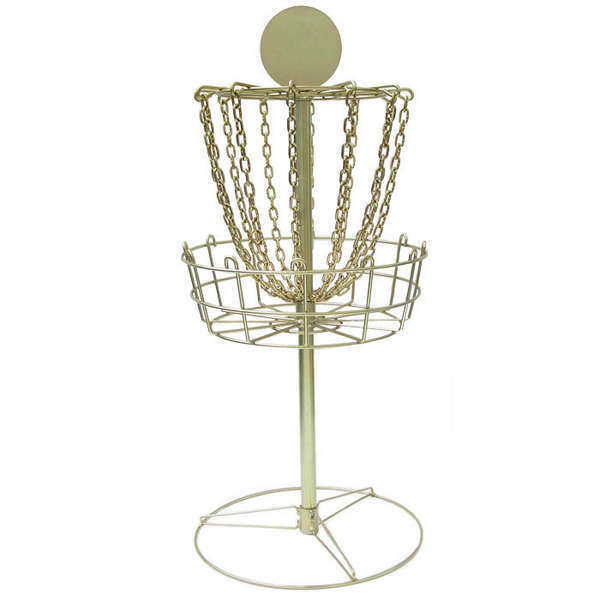 The DGA Mini Basket is a high-quality exact scale model of the Mach I, including scaled down chains. The Mini comes in a gold finish that will not tarnish or rust, and the base also comes in a round gold metal finish.